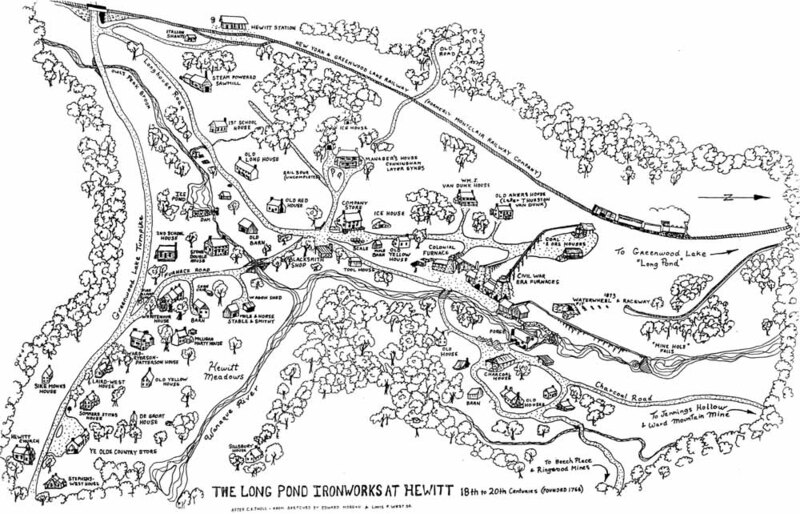 This rendering of Long Pond Ironworks, based on the contributions of various artists, was updated in 1999 by Martin Deeks. This version corrects some inaccuracies in previous versions and includes more features. The Long Pond Ironworks Museum is located in "Ye Olde Country Store" on Greenwood Lake Turnpike (lower left of map) and is where historic district tours begin.